This plate includes a poem as well as a floral frame including woodland creatures. 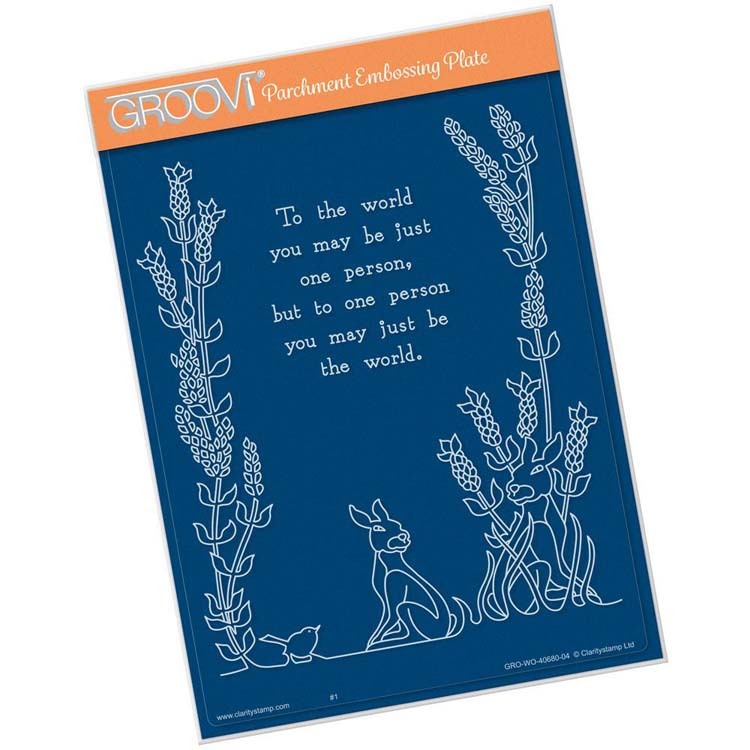 The poem reads: "To the world you may be just one person, but to one person you may just be the world." Groovi Plate™ (GP) Intricate and clever designs have been laser etched with precision into top quality acrylic plates, thereby allowing you to get in the groove with a specifically made-to - measure embossing tool, and effortlessly follow the design path through parchment.The end result is quick, crisp and clean.